JeriLynn E. Bruce, age 70, longtime resident of Tower died Tuesday, April 9, 2019 at the Cook Community Hospital. She was born March 28, 1949 in Baudette, MN the daughter of Bernell and Bernice (Soderberg) Horntvedt. She was a graduate of Baudette High School and the University of Minnesota Duluth where she received her BS in Home Economics. JeriLynn was united in marriage to Kenneth R. Bruce on June 22, 1974, in Baudette. 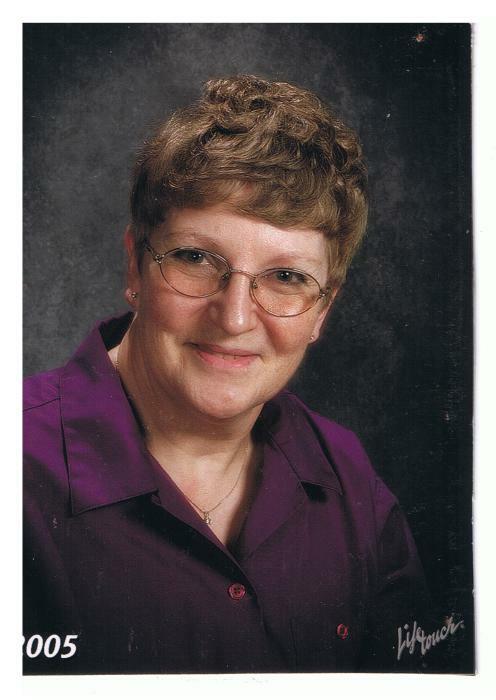 JeriLynn worked as an educator teaching classes in Home Economics, Math and Earth Science in Tower-Soudan, Babbitt, and Cook. She also worked at the Y Store for 27 years. She was a member of the Arrowhead Concert Association, and she enjoyed bird-watching & feeding, cooking, baking and gardening. JeriLynn is survived by her husband: Ken; sister: Lois (George) Widman of Crookston, MN; brother: Kenneth (Jody) Horntvedt of Baudette, MN; her beloved pet: Inga; and numerous extended family and friends. She was preceded in death by her parents; and her beloved Border Collies: Lars, Muffins, Duchess, Lady, Lena, and Signe. Visitation will be from 10 am until the 11 am Memorial Service Wednesday, April 17, 2019, at the Bauman Vermilion Funeral Home Chapel. Pastor Liz Cheney will officiate. Family services are provided by Bauman-Vermilion, a Bauman Family Funeral Home, in Tower. To express condolences on-line please see: www.baumanfuneralhome.com.